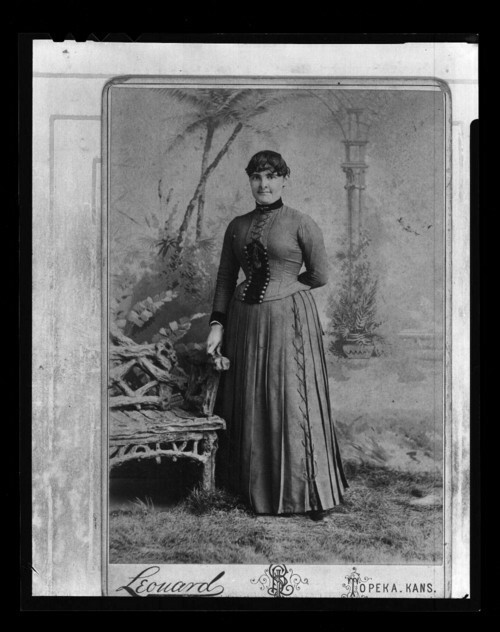 This is an image of Martha Van Orsdol Shaw Farnsworth as a young woman. She grew up in Winfield and moved to Silver Lake and then Topeka. She married John W. Shaw in 1889. He died in 1893 and she married Fred Farnsworth in 1894. Several of Martha's diaries are included in Kansas Memory.